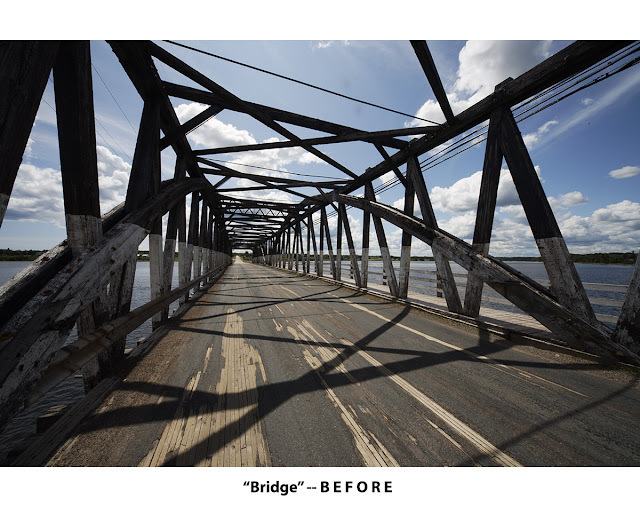 The original image was underexposed and looked "flat". I made brightness and contrast adjustments to deal with this. 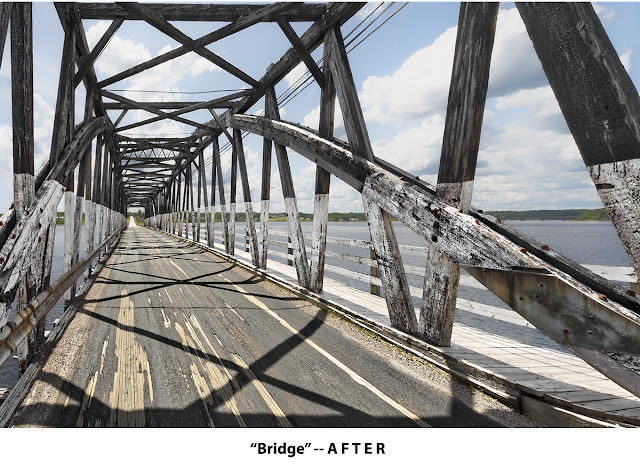 The adjustments bring out the strips of flaking white paint on the bridge arches and trusses, and the detail of the roadbed - both of which were lost in the unprocessed image.